It does not take much to spoil a marble but it takes a hundred times more effort to clean it up or even for that matter to maintain it, just like your clothes your marble might get stained due to the most bizarre and unexpected accidents. Basic marble cleaning and polishing will keep your marble in clean condition, but stains may make it necessary to use special techniques. When it comes to stains removal what we do is we employ a method which is known as poulticing. Before starting the procedure there are some things that you need to keep in mind. First and foremost what kind of poultice needs to be used and depends on how marble got stained. For example it will require a different poultice if the stain is a result from some kind of adhesive and it will be something else if the stain is from say syrup or wine. So the process of will vary. If the process of poulticing does not work then another technique is there which involves the grinding and honing of the marble upper surface which works very well when it comes to effective stain removal. If neither of the two above processes is effective then we employ both the methods. 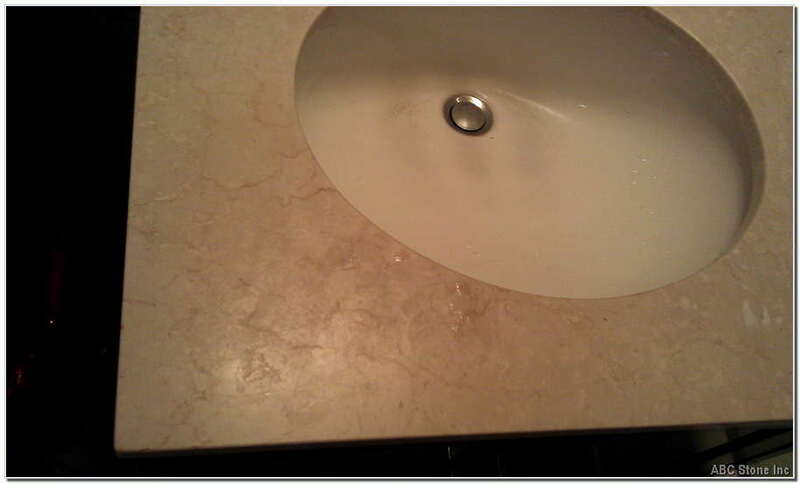 Whatever it takes we will make sure that your marble does not have a discernable stain on it. If stains are left by tea, coffee, and soda, you can clean the marble using a solution of 20 percent peroxide. Oil stains can be left by a wide range of materials, including foods and cosmetic products. You can remove these stains by using corn starch or other fine powders and allowing them to sit for a short time. Brush the powder away from the marble and then reapply a second coating. Let it sit overnight and remove with a brush dipped in hot water and detergent. Rinse with plain water and dry with a soft cloth. If you have made the mistake of leaving metal on a marble countertop and need to get rid of rust stains, purchase a rust remover and follow the directions on the can or bottle to use it on your marble. Do not allow rust cleaners to stay on marble for a long period of time, as they can etch the surface. Investing the time and effort into maintaining your marble and promptly cleaning up any stains will help you to maintain the beautiful look of your marble for a long time. This can help you reduce home repair costs and prevent having to replace your marble. You have to be very cautious when it comes to marble in your bathroom or when you have marble flooring done. This article it is not intended to provide you with “Do It Yourself, DIY” advises. All advises may be performed at your own risk only. Consult with marble restoration professional or your contractor before solving any stone-related problems.